Churchill is the leading school for bright students with dyslexia and learning disabilities in St. Louis. We admit high-potential elementary and middle school students with specific, diagnosed learning disabilities. We have a rolling admissions system and evaluate each applicant on an individual basis, looking at his or her potential for success at Churchill. We offer nonsectarian education to any qualified student regardless of national origin, race, or religion. The final responsibility for all admissions decisions rests with our director. 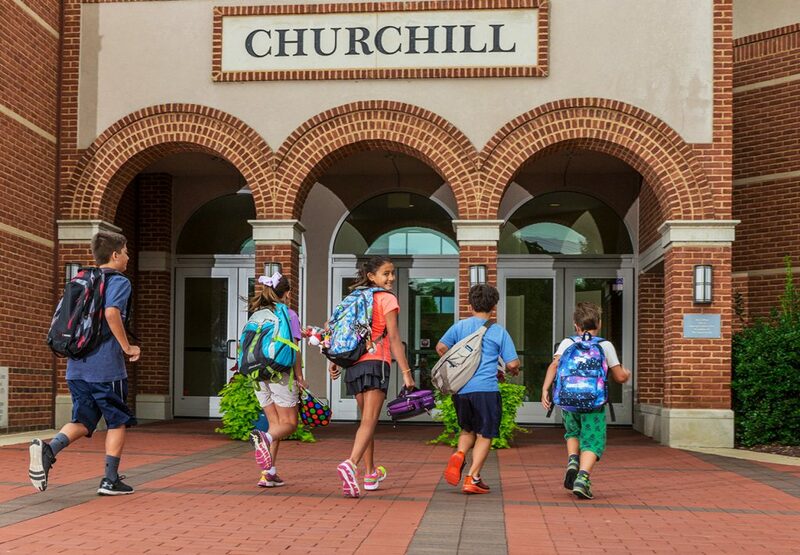 In addition to our day school curriculum, Churchill also offers summer programming. This six-week remedial session helps children with specific learning disabilities develop to their full academic potential by providing individual and small group instruction. 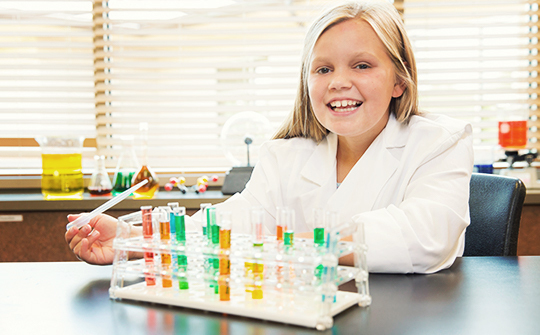 In addition to a daily 1:1 tutorial, an individualized curriculum is offered to each child, ages 6-15, in the areas of language arts, math, auditory visual training and motor skills. This program is designed for kindergarten and first grade students who are not reading with ease. Based on current research and techniques that differ from traditional reading instruction, teaching will include phonemic awareness and listening skills. Manuscript handwriting practice will also be incorporated into each daily lesson. Students who attend this course will learn how to read and spell one-syllable words. To learn more about our summer programs, please contact Director of Admissions Anne Evers at 314-997-4343 or aevers@churchillstl.org. Students are accepted on a space-available basis. Applications can be submitted at any time, although early application is recommended. We use a rolling admissions process, reviewing each application as it is received. We will contact you with your child’s application status once our Admissions Committee has reviewed these materials. If the Admissions Committee believes that Churchill is an appropriate placement for your child, an interview will be scheduled immediately. Interviews will continue until enrollment is filled for the following summer or fall. All application materials must be received prior to Admissions Committee review. To request an application by mail, submit your name and address below. Because our applications are color-coded, they are not downloadable at this time. Please submit an evaluation administered within the last three years. Evaluations must include the Wechsler Intelligence Scale for Children (WISC IV or V), the Stanford-Binet Intelligence Scale, the Woodcock-Johnson Tests of Cognitive Abilities, or the Kaufman Test of Education Achievement. Subtest and index scores from these tests or approved compatible tests must be included. If the results of any information or testing prove inconclusive or ambiguous, the Admissions Committee may request additional information. To make an informed decision, we need to collect relevant information directly from the schools, doctors, and clinics that are familiar with your child. Please sign the release forms included within the application and send them directly to your selected list of schools, doctors, or clinics. These organizations will then fill out the forms and return them to Churchill. This interview is required prior to admission, and can only be scheduled after the school has received all application materials. Churchill Center & School Financial Aid Committee offers aid to qualified students on the basis of the financial need of the family and the availability of funds. There are no merit-based awards at Churchill. Financial aid decisions are made independent of the admission decisions and in no way affect the applicant’s selection. Financial aid funds are limited, and we ask families to remember that, while we are here to help you to the extent our funds allow, we believe the responsibility for your child’s education rests with the family. A Churchill education is an investment in your child’s future. You will undoubtedly have to make some sacrifices. There are options available to help you meet school expenses, such as monthly payment plans and long-term education loans. It is the goal of the school to provide tuition aid to families whose children have been accepted and have a need for financial aid as verified by the School and Student Service for Financial Aid, an independent assessment agency in Princeton, NJ. Their recommendation, along with supplementary information submitted by the parents to Churchill Center & School, is used by the Financial Aid Committee to determine eligibility with the amount awarded being dependent upon the financial need of the family. The total amount of aid given each year is dependent upon the funds available. Parents interested in applying for financial aid should request the application materials from Churchill Center & School Business Office. Additionally, School and Student Service for Financial Aid, including Parent’s Financial Statement, is available online at sss.nais.org. Financial aid applications are available in early November and must be submitted by April 15. Application review begins in April for the following school year and is completed by mid-May. The school requires re-application for financial aid each year. The amount of financial aid awarded may vary from year to year depending upon the funds available for financial aid and the number of families in need of aid. Any questions? You may email the Director of Admissions, Anne Evers directly at aevers@churchillstl.org.